Ultimately, the Olympus OM-D E-M1 Mark II is currently the best Micro Four Thirds camera for advanced photographers. That, in a nutshell, is why it's well worth its asking price. If you're unfamiliar with the Olympus OM-D E-M1 from three years back, it was the company's flagship compact system camera (CSC), built to a really high standard. We happened to really like it (ok, we loved it). 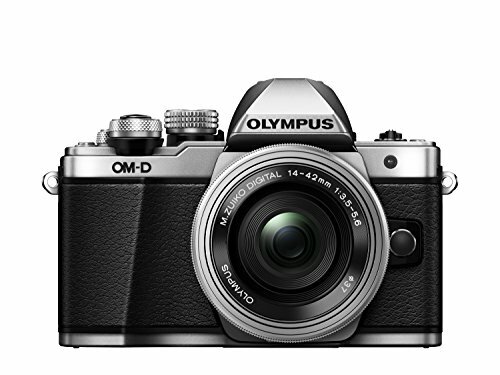 Now we have the second-generation model, the small and mighty Olympus OM-D E-M1 Mark II. With a mini-DSLR-like form, weather-sealing, solid magnesium chassis and heaps of manual controls methods, the Mark II is a small camera to be taken seriously. Its huge price tag, at £1850 body only, is a clue at just how seriously this camera is to be taken. With competition from the Panasonic Lumix GH5, Nikon D500 and a range of full-frame cameras such as the Pentax K-1, Nikon D750 and Sony Alpha 7S, can Olympus' altogether more complex offering make a dent in the interchangeable lens camera market? So how does the OM-D E-M1 Mark II compare to its predecessor? Aesthetically the cameras are much the same. The Mark II is a touch bigger and heavier than the original, but not by much. The newer camera's grip is taller, more pronounced and virtually moulds to the hand too, which we find makes it more accommodating for larger pro-spec lenses (we used 7-14mm f/2.8 and 12-40mm f/2.8 Pro M.Zuiko lenses in this test). We like the layout of the E-M1 Mark II. The two main control wheels are at your fingertips and easily rotated for changing exposure settings such as aperture and shutter speed or exposure compensation. The button layout of the two cameras is very similar, with minor shifts not really worthy of mention. The camera is hugely customisable too, which makes it both excellent for pros and potentially confounding for newbies. The various function buttons can be assigned to most controls. We chose, for example, to have the Fn1 button set to access ISO and white balance and the Fn2 button to apply the 2x digiconverter. As for the LCD touchscreen, it is now fully articulated (the E-M1 had a tilt touchscreen only). It's a lovely screen. When tweaked to its brightest setting, it can be seen clearly even in bright daylight. You'll need to give the screen a wipe periodically to get rid of smudges that come from using the touch function, though. Wi-Fi also works well. The free-to-download Olympus Image Share app gives control over basic camera settings for remote shooting and quick image uploads to your phone. It's a shame that the E-M1 Mark II is still limited to a minimum ISO 200, though an extended ISO low mode is available (to ISO 64). The mechanical shutter has a maximum 1/8000sec shutter speed, however, which goes some way to compensating using ISO 200 in brighter lighting conditions with fast aperture lenses. There's also an electronic shutter which is capable of 1/32,000th second and won't degrade the 200,000-count shutter life either. The old rule for sharp handheld pictures was to use a shutter speed equivalent or greater than the focal length. So 1/30th second for 30mm. In the E-M1 MkII that rule is tossed out of the window, for its image stabilisation system is the best built-in one we have ever seen. A revised 5-axis stabilisation gives up to 5.5 stops of stabilisation with any Olympus Micro Four Thirds lens, and a claimed 6.5EV with the Olympus 12-100mm f/4 Pro M.Zuiko lens (which we can't verify, as we've not had that lens in for test). When using the 12-40mm f/2.8 Pro M.Zuiko lens at 12mm, however, we would normally be able to get sharp handheld shots with a shutter speed of 1/30sec. With stabilisation activated, we were able to achieve sharp images at this focal length with a shutter speed of 1-second or even more. That's insane. Likewise at 40mm (80mm in full-frame terms), 1/2sec exposures were acceptably sharp. We wouldn't normally give image stabilisation its own section in a review, but the Olympus OM-D E-M1 Mark II merits the feature. It is quite incredible. The Olympus OM-D E-M1 Mark II's speed is a speedy camera indeed. It's quick in every way. Start up time, focusing, capture and image playback - the entire experience is satisfying. No compact system can match the start up to picture capture time of a similarly priced DSLR, but the E-M1 Mark II is not far off and just about as good as it gets for a mirrorless camera. It's quicker than the original E-M1 too. With both electronic and mechanical shutter options for image capture, there is a wide choice of shooting modes. The electronic shutter offers image capture up to a staggering 60fps in the Pro Capture High mode, with single autofocus. What's more, half depress the shutter button and the camera can record up to 14 frames before the shutter is fully depressed - you know, in case your reactions aren't quite as quick as the camera. Which is more than likely. If you want continuous tracking AF, then the electronic shutter offers a mere 18fps (detect the sarcasm). We're not aware of any other camera that can shoot this many frames in succession. Even in the mechanical shutter mode the top burst rate speed is 15fps. As for the length of burst - which for us is what really counts - at approximately 50 images it's less than one second in the Pro Capture High mode. However, use the 10fps continuous low mode (with the mechanical shutter) and a JPEG burst will keep going until the memory card is full. It's impressive. It's easy to forget when you have been using the electronic shutter because it is so discreet. Therefore, it's important to remember to switch back after using the shooting modes with electronic shutter, like Pro Capture High mode. We found a handful of accidental 60fps bursts, when expecting to playback a single image. Oops. It's only really during the processing of these massive Pro Capture High image sequences that the camera cannot be used fully. You won't be able to view images while buffering takes place, which can be irritating - especially as a raw & JPEG burst in Pro Capture High takes close to a minute to clear. We also preferred to turn off long exposure noise reduction (NR), because the waiting time while the camera processes is too long. The new 121-point hybrid AF system is, again, impressively quick and marks good progress by Olympus. Autofocus is accurate for static subjects in all lighting conditions. Shooting indoors at night and one time having walked 400m into a dark tunnel, the focusing latched onto subjects quickly. We tested the continuous AF tracking in reasonable light, selecting a moving subject pre-capture. The best results are in continuous low 10fps and single frame shooting, with the hit rate of sharp shots being very high. There is a little back focusing sometimes, but all in all we're impressed. One major downside to the E-M1 MkII - which is something all mirrorless cameras suffer - is its relatively poor battery life. Olympus has gone some way to addressing this in the E-M1 Mark II with a new BLH-1 battery that gives up to 440-shots on a full charge (we found that figure conservative, though), which is a 25 per cent improvement from the E-M1, but still not outstanding. Select the sleep mode and it goes up to 950-shots, which is more like it, proving good enough to last a full day's shooting. A new sensor in the E-M1 Mark II records images at 20.4-million-pixels, compared to 16-million-pixels in the E-M1. As far as our eyes can tell from identical images between the E-M1 and E-M1 Mark II, this increase in resolution has not come at the expense of image quality in low contrast light. In the low light of a church and with no tripod to hand, without stabilisation we would have needed to use ISO 6400 for sharp shots with the exposure settings of f/11 and 1/30sec. With the image stabilisation system at our disposal, however, the ISO 200 setting could be used thanks to the slower possible shutter speed of 1-second. With control over lighting and in ideal lighting conditions, the E-M1 Mark II is highly capable of sharp and dynamic pictures, with a pleasing colour rendition. It's only in the less-than-ideal lighting conditions that the smaller-scale sensor of this camera is pushed - namely its dynamic range, for scenes containing both high brightness and deep shadows. Even with +3EV in post, however, we still found crisp detail in shadow areas, with very little luminance noise and only a hint of magenta colour noise. We found evaluative metering often led to some slight overexposure, so it can be worth dialling in -0.7EV exposure compensation to avoid that loss of detail (or use HDR mode). It is much easier to recover detail from shadow areas than highlights, too. Overall, the E-M1 Mark II isn't the best for high-ISO shooting, but it's so full of features that it helps remove the need to shoot above ISO 6400 quite as often. Olympus really has done what it can to offer solutions to highlight just how strong Micro Four Thirds can be. There's another trick up this camera's sleeve, too. In 'High Res Shot' mode, the E-M1 Mark II records a raw & JPEG image at a resolution of approximately 50MP - that's a huge increase from the 20-megapixel standard - by shifting the sensor eight times (using the stabilisation system in a different way) and taking a photo in each position, then combining these pictures into one. High Res Shot mode is only suitable for stationary subjects (unless you like the blur of movement) and you'll need a way of keeping the camera still, preferably with a tripod. In addition, a cable release or shooting wirelessly via the Image Share app helps for best results. One thing to note: the tripod bush beneath the camera has moved, meaning the battery door isn't necessarily accessible when a plate is attached underneath. There's also 4K video capture, which has finally been introduced into Olympus' range. The camera is a very able performer, with crisp and dynamic 4K footage at 24fps (with a 237Mbps bit rate). Coupled with the excellent image stabilisation and smooth focus, the E-M1 Mark II is ideal for those handheld videos. The E-M1 Mark II is not only better than the original model in every way, it's better than most mirrorless in every way too. Principal to its success is the built-in image stabilisation - which is the best sensor-based system we've ever used - and its super-quick reactions across the board, from start up, to autofocus, burst speed, capture and playback. Of course, no camera is perfect. The Mark II's issues aren't inconsolable ones, though, as it's only the high price point and relatively small sensor size compared to some similar-price cameras that we would call into question. Such larger-sensor cameras do have the upper hand when it comes to high-ISO image quality too. And this Olympus is a different animal to a full-frame DSLR, for good and for bad. The 4K king. Panasonic take a more functional than designer stance, but the GH5 is one exceptional mirrorless model. It'll give the E-M1 MkII a run for its money in almost every department. If there's a camera to put into context the E-M1's high price, it's the Nikon D500. Ok, so it doesn't have an articulated LCD screen, but with a larger APS-C sensor those image conscious will be lured in by its potential.